Reader Ruadhan shares her tips on making sure you are ready for whatever the exam season has to throw at you! Exam time can be really stressful, especially the studying bit! 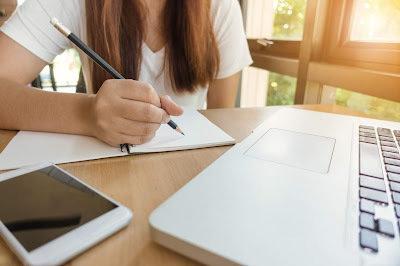 There are ways to deal with that exam stress so that you can feel a lot more confident and relaxed when the time comes… here are my top tips! - Always drink plenty of water. Believe it of not, it can really help you focus as it refreshes your brain! - Try listening to classical music. Some people like to study in silence, but for others, music helps them to concentrate. If this is the case for you, try listening to classical rather than pop or rock as it is less distracting and can have a calming effect! - Revise in sections. It's never a good idea to jump in and try to cram as much information as you can into your head. It will eventually just become a tangle. Sometimes it is helpful to use notecards rather than reading it straight from a book. Notecards are very handy! -Give yourself plenty of time. If you have to study during the holidays, your first thought might be, 'I'll do it the week before we go back.' DON'T think this! What will happen is that you'll keep putting it off until you only have a couple of days left. You'll panic and end up not remembering much at all. It may sound simple, but study steadily all throughout the holidays and you will absorb so much more! - Take a break! When you are under pressure, it can seem like any distraction will ruin your chances of getting a good grade. This isn't true. Studying without a break can harm your chances. Try to see studying like exercise - it is good for you, but do too much and you'll hurt yourself. - If you are the kind of person who gets very wound up over exams, build in some relaxation. De-stress when taking those breaks… dance, sing, do yoga… anything to take the weight off your shoulders and allow you to unwind a little. When those exams roll around, you'll be ready to tackle them in style! Great advice - my advice is to make a revision timetable, and copy out notes several times as you revise… this usually ensured the info stuck in my head! Do YOU have any revision tips to share? COMMENT BELOW to have your say! 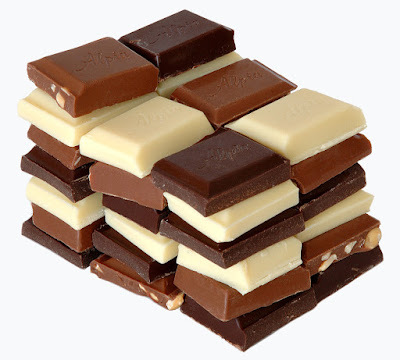 Reader Lizzie writes of friendship, romance and chocolate in her fab short story with a clever, chocolatey twist at the end! It’s not just the taste, although that’s bad enough. It’s the texture as well. It’s a lose-lose situation – it’s either rock hard so that you practically break your teeth on it, and all you can do is chip off tiny shavings with your incisors – but it’s even worse if it’s soft. Just thinking of the way it dissolves when you chew it into a tacky, syrupy mush, brings bile to my throat. So, OK, maybe I’m overdramatising. It’s not like I’m eating spiders, or maggots, or anything else that most normal people would consider disgusting. But for some reason, it’s almost worse, because chocolate seems to be everywhere these days and there’s no escaping it. Shops, stalls, birthday presents, Christmas presents …it’s enough to drive anyone crazy, right? Which is why, when I opened the lid of my desk one damp Monday morning and found a box of rose-scented truffles lurking inside, I wasn’t so much flattered as disgusted. I appreciated the thought, sure. Wouldn’t any girl be pleased to find she has a secret admirer? I just kind of wished whoever it was had found a slightly different way of expressing his feelings. I had a problem. These were way too good just to chuck away, and I couldn’t see anyone else in my family wanting them. 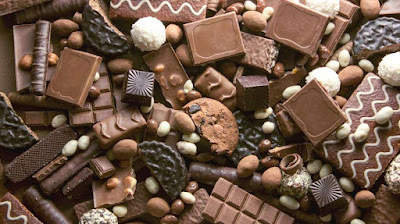 My dad’s the same as me regarding the whole chocolate phobia, and my sister Linnie is still on mushy green baby food, so the truffles seem to be doomed from the start. Hinnay of all people understands my aversion to chocolate. She’s about the only person who doesn’t stare at me when I push away the end-of-term silver-wrapped Santa, and who doesn’t gape in amazement when I wrinkle my nose at the smell of cocoa. This is why she is my best friend. It’s refreshing being with someone who doesn’t treat you like a freak. She looked at me now, raising her dark brows in a slant. “How come you’ve got a box of chocolates on you?” she questioned me. I snorted at the “ambrosia” remark, reaching into my desk and drawing out the box. I was careful to keep it hidden. If the sender was someone in my class, I didn’t want him to be offended. “What am I supposed to do with them, then?” I protested. So she hadn’t refused my offer out of concern for my love life, after all. That was a no, then. “Gimme that!” I snatched it, scanning the closely printed, curling writing. Meet me behind the science garden at four. I looked at Hinnay and she stared back, wide-eyed. “Whoa,” we said in unison. I glanced up and my mouth fell open. “Um…hi?” I heard a voice squeak out. How ashamed I was that it was mine. “Listen…Mel.” His voice was uncharacteristically nervous. Believe it or not, I was pretty nervous too. That was when I blurted out possibly the stupidest thing I have ever, ever, ever said in my whole life. Like, ever. Well, that was quick for a first relationship. He sounded so disappointed I thought I might cry. We both froze as I realised what I’d just said. “You – like me too?” he asked curiously. I nodded, unable to meet his eyes. There was a long silence. Suddenly, I couldn’t stand it any longer. I glanced up, maybe to apologise, but the next thing I knew, his mouth was on mine. After what could have been a minute, or perhaps several sunlit years, we broke apart. I stared at him. He was apologising for kissing me? “Don’t be sorry,” I whispered. Smiling, he kissed me again. I closed my eyes. It's not just children that love CC books, you know! Here are some fab reviews by adults! I loved SAMI'S SILVER LINING. It is beautiful and quirky and humane and I finished reading it on Saturday and gave it to a friend's daughter, who has been visiting with her family and is also beautiful and quirky and humane. She plays the flute like Sami and spoke of the refugee children who are now at her school in Berlin. Thank you, CC, for writing with such kindness and empathy. The world needs more of this! I read SAMI'S SILVER LINING because my daughter wouldn't stop talking about it and I wanted to understand why it had made such an impression. This may be a children's book but boy did it grip me. It's a long time since I've read something so thought-provoking, eye-opening and powerful, and as a family we've had several big discussions triggered by the story. I've passed the book on to a friend (although my daughter wants it back as soon as she's read it...) and also bought a copy for my daughter's school. My daughter and I are both now huge CC fans. Fifteen year old Sami is trying to come to terms with his new life in England living with his aunt and uncle. He has escaped from war-torn Syria, lived for a while in the cramped conditions of a refugee camp and then made a perilous journey in an overcrowded boat across the icy waters of the Aegean Sea to Kos. The boat capsized and he was hauled out of the sea with no sign of his father, mother or little sister. After more hardship, he arrives in the UK with virtually nothing but his flute and the battered old, silver lined coat that used to belong to his dad. I strongly recommend this well told multi-layered story which is all about friendship and camaraderie. Without spoiling the plot, I need to reassure you that there is a very positive ending and eventually Sami is ready to take off the coat and to give it a new life. Cassidy is keenly aware of the political power of fiction to help readers understand and want to ask questions about real world concerns. In the afterword, she explains that Sami’s story is based on the reality faced by thousands of child refugees who are trying to find sanctuary in the UK. As such, this is an important campaigning novel with a clear message for readers. Cathy Cassidy has always written books with characters we care about. THE CHOCOLATE BOX GIRLS series set a high benchmark for weaving a series of individual, yet interconnected tales, but if the first two books in her new series, the LOST & FOUND are anything to go by, this new series will be even better. SAMI'S SILVER LINING focuses on Sami, a Syrian refugee. It gives us the story of his present day adventures with the band, but this is interspersed with extracts from his notebook, telling the moving and powerful story of his journey from Syria to Britain. This is where the book moves from being a superbly written and thoroughly enjoyable tale, to being a highly affecting and important book which needs to be read and read widely. Sami's tale is one of hope through the direst adversity but reminds us that for every Sami, there are thousands of other displaced people who are not as fortunate. This wonderful book should be read, loved and taught in every school and is the work of an author at the peak of her powers. Just read it. It means a lot that adults are connecting to SAMI'S SILVER LINING just as strongly as kids are... wow! Have YOU read it yet? COMMENT BELOW to have your say! BEAUTY SLEEP - WIN WIN WIN!!! 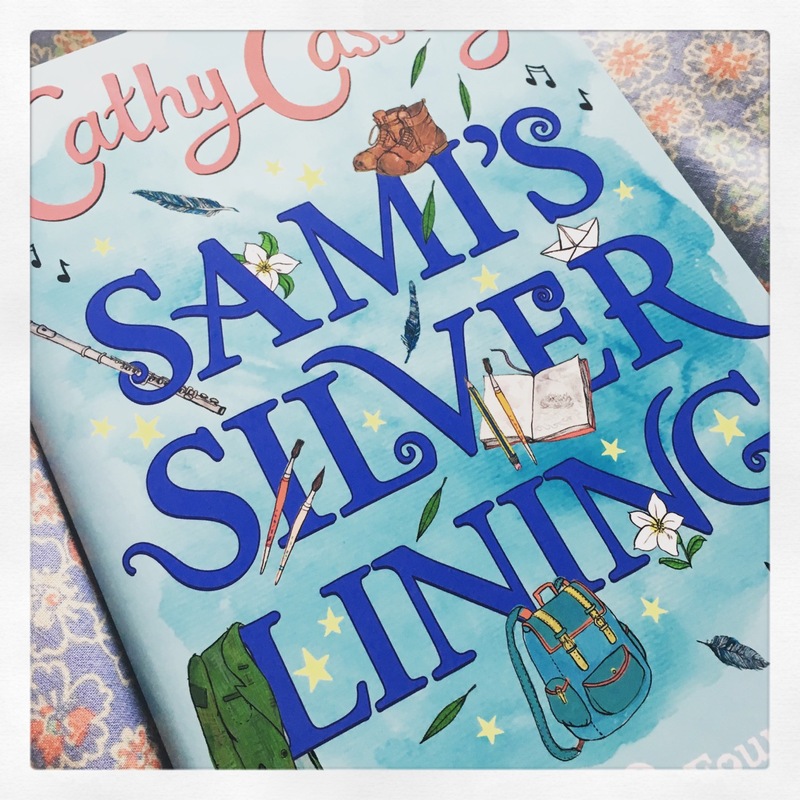 My name is Kathryn Evans and the lovely Cathy has let me hijack DREAMCATCHER for the day - I thought I'd tell you about my new book and set a cool COMPETITION for you! The comp is easy - just tell me what YOU'D put into a time capsule! I was obsessed with scrap books when I was a teenager. I stuck in pictures of all the bands I loved, from magazines like Smash Hits. 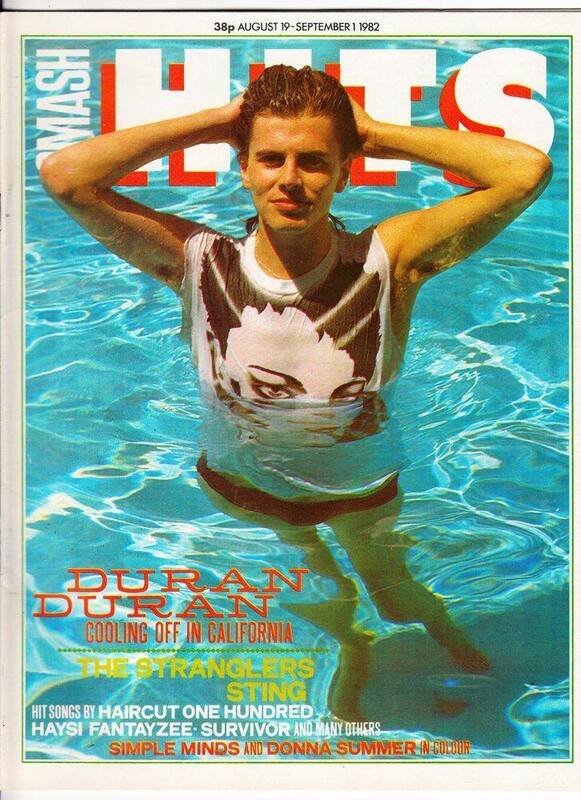 I was absolutely in love with John Taylor from Duran Duran so there were loads of pics of him. I’ve still got this picture ! If I was a teenager now though, my scrapbook would definitely be full of all the things I got up to with my friends - we just didn’t have that many photographs back then. I can’t live without music. I love festivals and always have the radio on. In 1986 there was no Spotify, so we mixed our own tapes and gave them as gifts. Laura puts a tape she’d recorded with her best friend Stacey into the time capsule. I don’t care what anyone says, it’s not childish to love your teddy. Your teddy sees you through the best and the worst of times. Your teddy is your confident and pal and never criticises or judges. I’d take my teddy over some people anyway of the week. 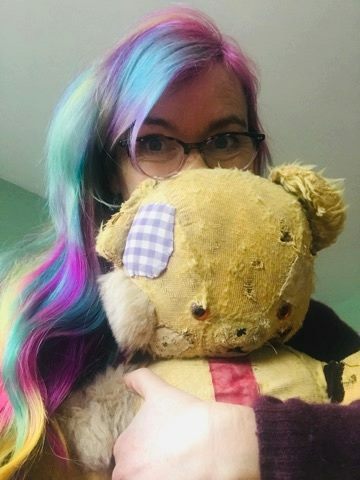 Here he is, this is Scruffy - you may recognise the description of Laura’s teddy from this actual real life , moth eaten old bear. I love him and I don’t care who knows it. I had to save money from my paper round to buy any decent clothes so every item was precious - a pair of blue skin tight jeans with white piping down the side were my prized possession. Once I bought a studded belt, I’d wanted one FOREVER. My dad marched me back to the shop and made me give it back - he said he didn’t want a punk rocker for a daughter! I gave Laura a couple things that I would have loved to own but didn’t have the money for - a blue Bennetton jumper and a Choose Life t-shirt. She should have had a ra-ra skirt too. I did eventually save up enough to buy a grey one of those - just as they went out of fashion. If you were going to sleep for forty years, what would YOU pack to take with you? 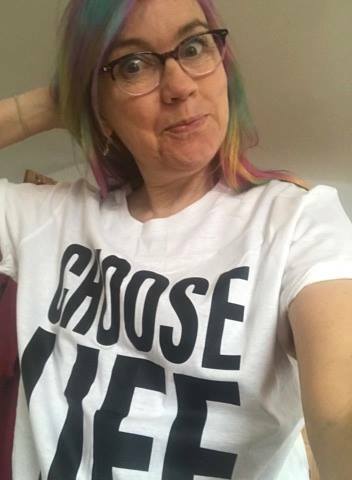 The list I love best will win a Choose Life T-shirt – just like Laura’s - and a copy of my brand new book BEAUTY SLEEP! 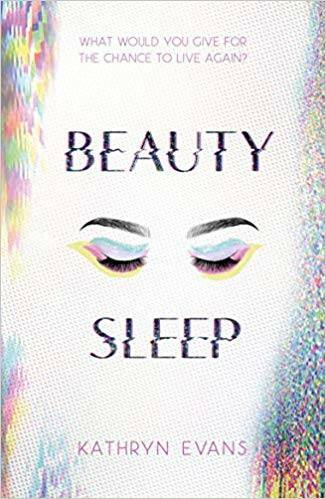 Kathryn's book BEAUTY SLEEP is hands down the best book I've read this year - it's gripping, thought-provoking and chilling by turn... I seriously could not put it down! If you like YA books with a dystopian twist you'll love it! To enter the comp, either COMMENT BELOW or email me with the list of what YOUR time capsule would include HERE. What are you waiting for?!!! YOUNG LIBRARIANS - EASTER UPDATE! The TERRIBLE TRIO + ONE are back with their round up of springtime news from their fab school library... take a look! Easter is upon us, and we are feeling happy in the library. This links to our new display: 'How are you feeling today?' Our school does its best to promote wellbeing and we know that reading is a good way to relax and calm down as well as reading for pleasure. Our Easter bunnies (student librarians) have been putting away all our books and patrolling in the library. Our newly extended library bunny family (the newest recruits) have settled in and seem like they have been here for years. World Book Day wasn't too long ago, and we have the new selection of World Book Day books in the library. As a school we all enjoy World Book Day and this year we all walked into town and purchased our books with the school tokens. What book will you choose? 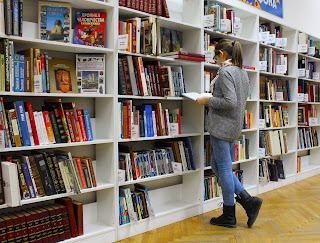 Westacre have recently had a visit from the book fair, which was as popular as ever, with pupils buying a variety of books for themselves and others, as well as a significant amount of stationery! We made a grand total of £110! That money will go towards more books for the library, for everyone to enjoy. As Easter is approaching we are all on the lookout for good books to read over the holidays. Over the last couple of months, we have started a book club where we all read the same book – along with other local schools - and then meet up and discuss the book together. In March, we visited one of the schools and discussed our current book at the time - Pax by Sara Pennypacker. Pax is about a young boy and his pet fox Pax - however war breaks out and he is forced to leave his fox forever in order to live with his grandfather many miles away. The two then begin the quest to find one another. I thought the book was a little bit predictable but many people thought it was a good read! Our next read is Ghost Boys by Jewell Parker Rhodes. This book is a compelling story about a boy who gets shot by a policeman who mistakes his toy gun for a real one... check it out! In February, we went to go see Candy Gourlay. 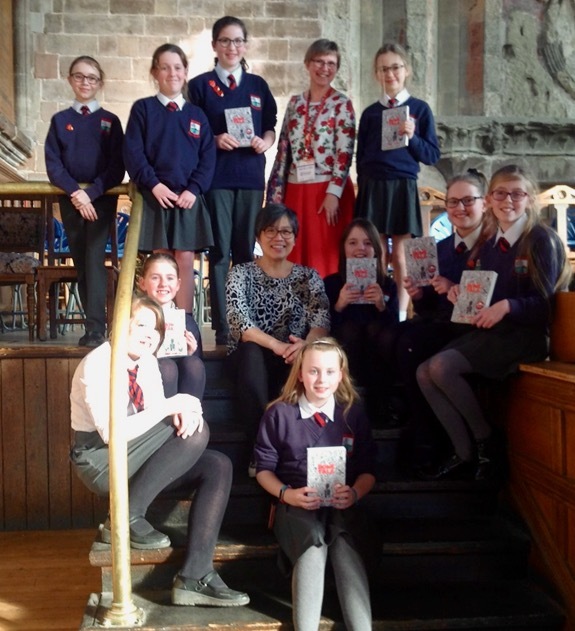 She was at the Kings’ School, Worcester and she did an author talk. We all bought her book Bone Talk and got our books signed. We also got a signed book for the library! We stayed until the end of the meeting and were able to get a picture with Candy! We have loved our new experiences recently and we are looking forward to those ahead... see you soon for more library news! The Terrible Trio + One! Love this library round-up by the cool student librarians at Westacre! 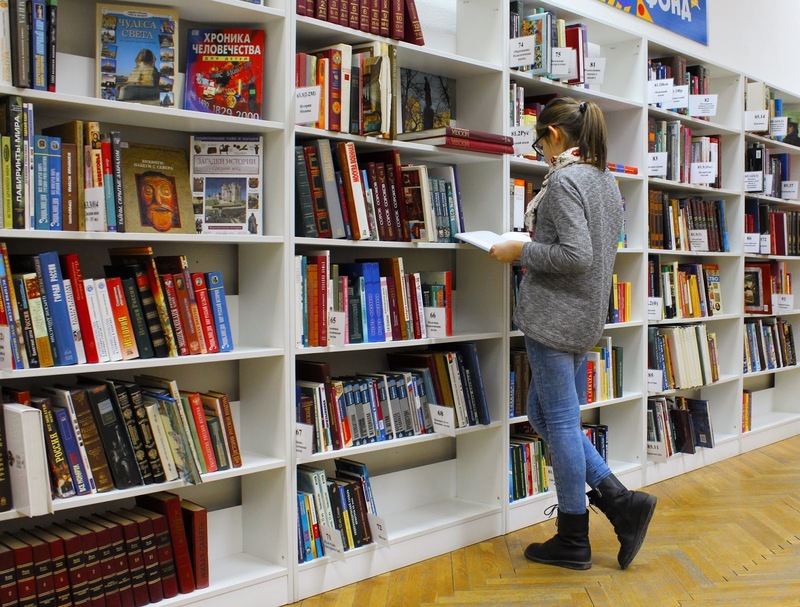 Have YOU ever thought of getting involved in your school library? COMMENT BELOW to have your say! 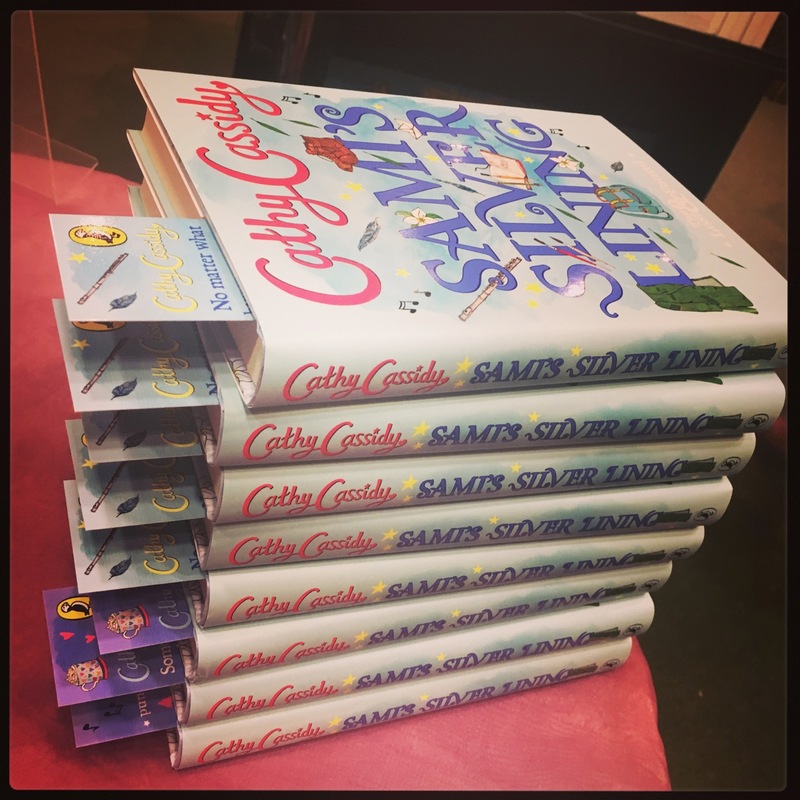 Reader Hannah describes a meeting with Cathy Cassidy - and finding new books to fall in love with! I met Cathy Cassidy on her trip to Trim Library in October last year, when my school went along to the library as part of Children's Books Ireland Festival. I recently bought the book LOOKING GLASS GIRL and I must say I'm in love. The dark theme is one I love reading! I'm twelve years old, so it's all very relatable for me... well, except the coma part of course! Cathy Cassidy's books seem very down to earth and real, and I can tell with no doubt in my mind they are extremely accurate to how girls my age behave and think. It feels like looking in a mirror. 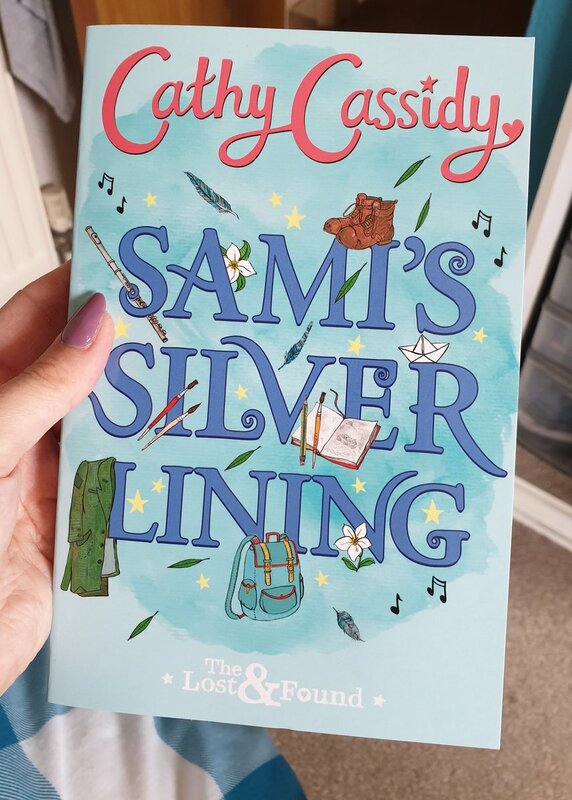 I plan to purchase or borrow CC's newest book, SAMI'S SILVER LINING. Not only because the book will undoubtedly be fantastic, but because the topic is one that is very close to my heart. I am of Syrian heritage, so when Cathy talked about her inspiration for the book, I was greatly moved. I am very into art. I like singing, writing poems, drawing and writing stories especially. 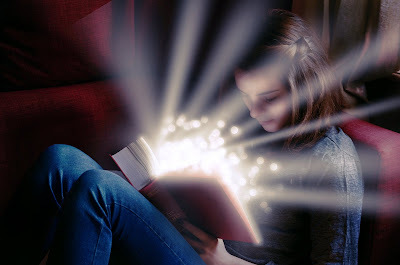 Although my stories are more fantasy based than CC's would typically be, I noticed while reading her books they reminded me of something I'd maybe write myself. CC books are a big inspiration to me now and I really like their style - it is 100% my cup of tea. I am very happy I finally found an author whose books I can relate to! Aww... what a lovely blog! Thank you so much Hannah - I think we all love discovering a new author whose work we love! 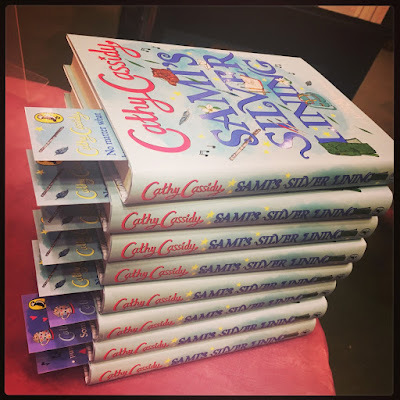 Have YOU ever been to a CC book event? COMMENT BELOW to have your say! 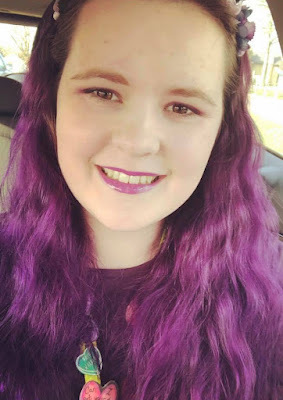 HOLLIE: I DYED MY HAIR PURPLE FOR EPILEPSY AWARENESS! Epilepsy awareness is hugely important to me; I was diagnosed with absence seizures at the age of twelve. Because not many people know what absence seizures are, it makes it all the more difficult to explain to friends - and it can frighten them. I want people to know there’s more than one type of epilepsy, there’s more than twenty, even. My seizures were where I would lose consciousness for five to ten seconds, but I’d stay standing up, just staring into space. A lot of my friends didn’t even notice! Unless I’m having a cluster of lots at once, they can be quite difficult to spot. For me, it just feels like I’ve fast forwarded a bit on a TV show and am trying to work out what happened. When people don’t always understand all types of epilepsy, it can feel quite isolating, and having to explain all the time, although I was happy to do it, sometimes made me feel a bit frustrated. No one understood. Purple Day is a national day to raise awareness of epilepsy. Everything goes purple on the 26th of March, to get the message out there of what epilepsy is. 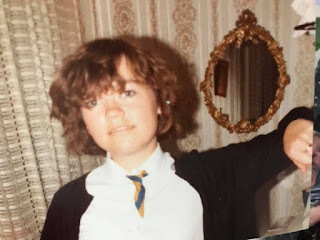 It’s also a great way to raise funds for epilepsy charities such as Epilepsy Action, who sent me an information pack explaining my diagnosis when I was twelve. I was controlled for a number of years on one medication, but I had to start taking other meds for mental health problems and they interacted and I’ve struggled to gain control ever since. Today I’ve been absence seizure free for six months! This year, I decided to dye my hair for Purple Day - to raise awareness, as well as a bit of money! I set a target of raising £50, but with some wonderful support from friends and family, they sponsored me for over £500! 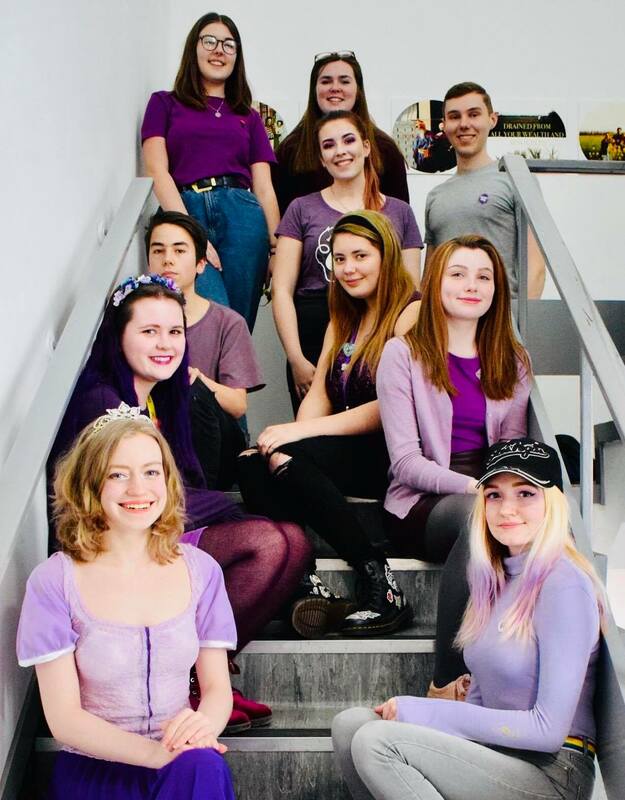 I now have bright purple hair and my friends from college also all dressed up on the day in purple, and raised a further £30, they’re amazing! They were so supportive, I think because they’ve seen the effect that changing my epilepsy meds has had on me over the last six months. I may have been seizure free, but the withdrawal symptoms and side effects have caused real problems. So it meant a lot when they all supported me by dressing up! One in every hundred people has epilepsy, so chances are you will know someone who does. Read up on it and see what you can do to support them - that bit of knowledge will mean the world! This is a subject close to my heart, as my daughter had the same diagnosis as Hollie when she was a young teen, and took time to come to terms with it. I love Hollie's can-do attitude - and her awesome purple hair! Have YOU ever raised money to help a cause you really believe in? COMMENT BELOW to have your say! 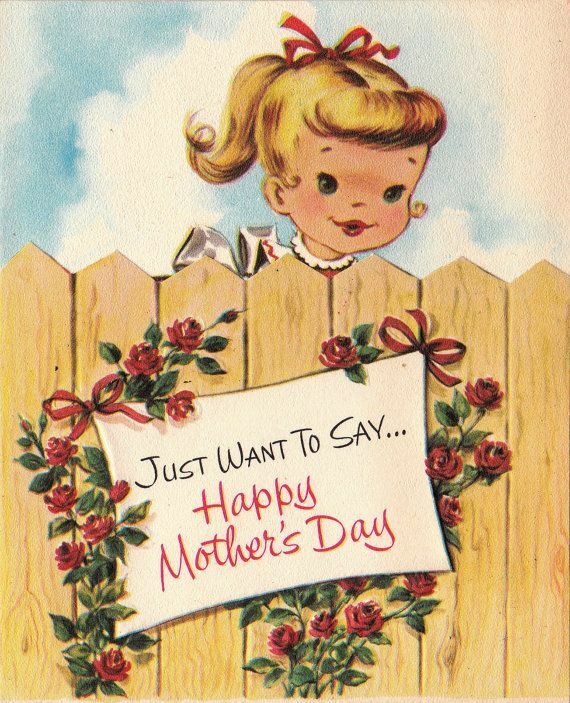 We asked you to tell us why your mum is awesome... and readers of all ages told us! Happy Mother's Day! My mum is wonderful. We’ve been through hard times but never once has she given up on me, even when I’ve given up on myself! I know that no matter what she will always be by my side and wanting the best for me, always acting in my best interests. She is the rainbow in my rainy days, and when she gets upset I know it’s for me not with me. She will never know how special she is, and she will never understand how much sunshine she brings into everyone’s lives! My mum is cool because she is calm, wise, clever, witty, gentle, caring, charming, an excellent thoughtful hostess, occasionally caustic, very beautiful, a firebreather, a great cook, a creative maker, resilient, independent, and taught me all I need to know about just bloody getting on with life regardless what is thrown at you. She is our queen! Noble, proud and strong! This is for my Gran... she always shouted the loudest at Sports Day! Because she is always here for me! I love my mum because she is always there for me. I can talk to her about anything. She is very silly and makes me laugh, and she also gives the best cuddles and she makes really weird cakes! I'd be lost without her. She whispered bedtime story words to me of her own childhood - when giant folk and dragons circling misty mountain tops were real for her. She filled my head with magic, she ignited my imagination, and, which I think I was unbelievably lucky to know, she let me adventure untethered by adult interruption in the most glorious of Huckleberry Finn 1970's ways. My mum, the original Princess Bride. My mam taught me to bake from the age of three and I still love it... that's what I always think of when I'm at her house! My Mum was my rock, my best friend and cheerleader. She made the best cup of tea and gave the best hugs! My mum is awesome because she is helping me get through university! Every day I send her a good morning message, a goodnight message, a pic of my outfit and about fifty billion other messages. I’m probably breaking Messenger records. Mum is helping me not only become independent, but feel independent too. She is the best present giver, and the best at everything really. I’ve come to appreciate her wisdom and her presence in my life more since moving away from home. I wouldn’t be where I am without her. And Mum is also awesome because I know she’ll pick up SASHA'S SECRET for me when she’s in the UK! 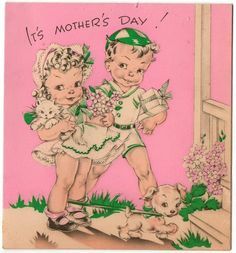 Aww... lots of love to all the momma's out there! You're amazing - it's official! 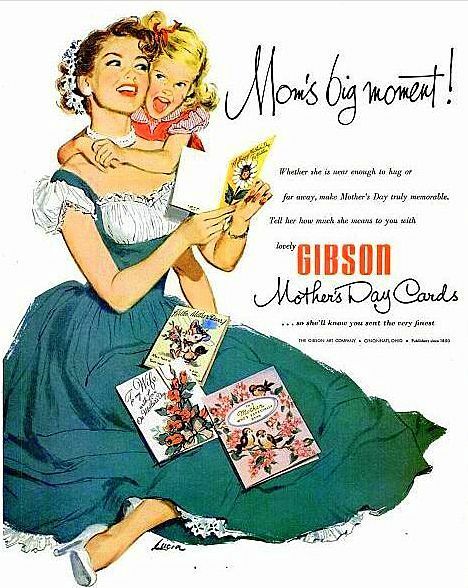 Have YOU celebrated Mother's Day today? What did you do? COMMENT BELOW to tell us! On Saturday 23rd March 2019, an estimated one million people marched through London to demand a second vote on Brexit - reader Nell was there and tells us why it mattered so much to her! Yesterday, I made history. 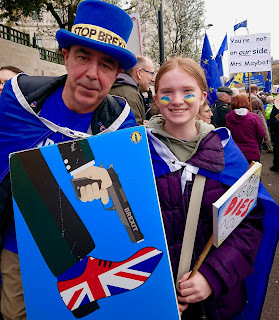 I was one of the million or so people who attended the ‘Put it to the People’ demonstration in London on the 23rd March 2019. 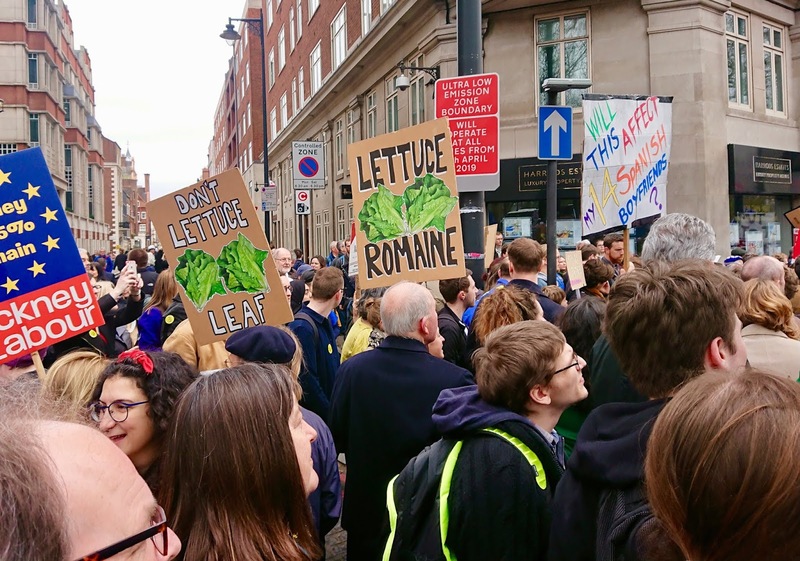 I decided to go on this march because, even though I am only thirteen, my voice needs to be heard: it will be mine and other young people’s future and we deserve a say in it! Just because I cannot yet vote, it doesn’t mean my opinion is invalid or pointless. Young people can still make an impact on modern politics. The demonstration seemed quite daunting at first, as there was a lot of people, a lot of noise and everything was very busy. I felt nervous because I knew it would be crowded, but at the same time I was excited and that excitement grew due to the already friendly atmosphere on the journey to the start of the march. While we were still on the tube train there was a woman with blue and yellow jewels (blue and yellow are the colours of the European Union flag) on her forehead and glitter on her face. The woman said hello to me and had a chat with me and my mum. Behind her was a man looking at the glitter and jewels and he asked if she had any leftover? She then proceeded to put glitter on him and, and as we all left the train, she was still adding the finishing touches on the train platform! We met up with a lot of my mum’s friends and then joined the march at Park Lane, in London. Even at midday it was already busy and I could see thousands of people both behind and in front of us. After a few hours we finally got moving (we later found out that the delay was due to the sheer number of people turning up). We marched for a couple more hours and had great fun chatting to those around us and singing and chanting. For me, the best part of the day was definitely all the placards and signs: they made us laugh and kept us going. By the time we reached the end of the march, we were absolutely exhausted, but bumped into a carnival drumming band and they lifted everyone’s spirits and gave us the energy to get to the finish line! At 5pm we finally reached Trafalgar Square and headed for home. At the end of the day, how did I feel? Well, firstly I felt proud of myself for standing up for what I believe in, as I think that is very important. I also liked the sense of unity and community between everyone marching. So, all in all, I was very pleased that I went and would recommend that anyone who believes in something strongly, whether it be remaining in Europe or climate change or equal rights, stands up and makes their voice heard. That way you can become one in a million too…. Wow! 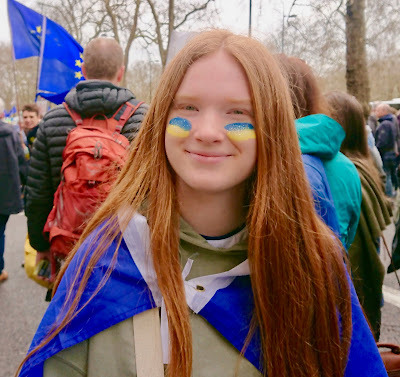 I love that young people like Nell are making their voices heard - both on the issue of Europe and on other important issues too! Would YOU march for something you believe in? And do you have strong views on Brexit? COMMENT BELOW to have your say! GYMNASTICS: TOUGH BUT WORTH IT! 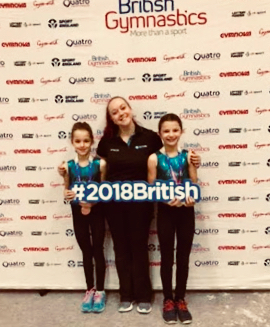 Reader Holly Mai shares her love for gymnastics and how sometimes it can be a struggle but you should never give up! I first became interested in gymnastics because of a scooter (which had the Olympic rings on) in my garage! It’s not every day you find an inspirational item in your garage…. Anyway soon enough I was on the waiting list for gymnastic lessons and I don’t think it was that long until I was offered a place. My Tuesday’s were made! When I first started, I could not do much more than a bunny hop. I’m pretty sure my only dream was to be able to do a cartwheel and a handstand. My main struggle back then was to actually start doing this move called a ‘bridge’ as I kept getting it wrong and doing it on my head. 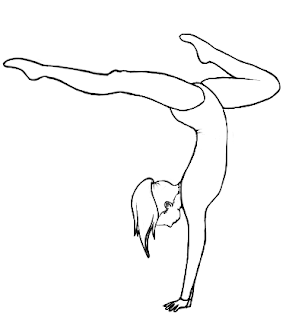 Eventually I learnt to do it properly and I was very pleased - this was one of the main challenges, as you need this move in order to do walkovers. When my first competition came it was quite cringeworthy - I forgot to 'present' and when I did I just put my arms to the side and ran off, which is not what you're supposed to do at all! I started to watch the older girls in squads do gymnastics and I decided this what I would like to do. I decided to ask my mum and dad whether I could do two hours a week… and eventually they agreed! So I started to train with the squad he hardest challenges was probably the beam as it was haunted by a horrid memory. When I tried to do a cartwheel on the beam for the very first time, I fell and twisted my ankle. The bars were my favourite apparatus as I could twist and turn well. Another challenge was to ‘circle up’ because you have to be able to do that to do any other tricks on the bar. Eventually I learnt to do circle ups and entered my first disability competition with my friend Sophie. It was quite good as I did earn four gold medals so I was very happy at that point. It’s been a bit of a struggle, one week I'd go home crying and then the next week I would have learnt the move and feel really proud of myself. I got moved up into different groups over the years and my most recent group is the disability development squad (I have hyper-mobility, but have never let this stand in my way). You get a choice of what to wear in any group, it’s either a crop top and shorts or a leotard. I just wear a leotard and shorts, in winter though you should wear leggings and come into the gym. If you are wearing earrings you take them out or tape them up, if you hang long hair you just have it up in a ponytail or a plait. If you are starting to do more hours you could get a gym bag to put things you will need in. For example, a bag containing hand guards and some chalk if you need some, all though it should be provided in the gym. You might possibly need some tape if in case you have damaged something or you have disinformative knees like me and you have hurt them and they feel funny and hurt a bit when you walk, you would use the tape when that happens to stabilise them. It was quite a struggle getting to where I am now nothing has changed but the groups and my worst apparatus is still the beam (because of my hyper-mobility). Luckily I have got some tips if you want to start gymnastics! 1. Don’t start at a young age - well you can, but don’t do lots of hours because if you do that you get burnt out and you don’t find it fun and you may start to get bored. 2. If you want fun, go to recreational gymnastics and if you do like it, the max is probably two hours a week if you're still quite young. 3. If you’re a bit older and getting serious about it you can add more hours. 4. Ask around to find the best gymnastic classes and clubs in your area! Amazing - it sounds like hard work, but Holly Mai must feel so proud at her achievements!! Have YOU had experience as a gymnast? COMMENT BELOW with any tips or cool stories! 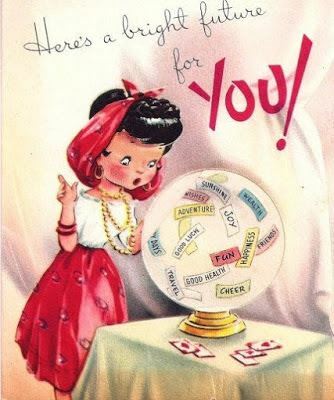 Skye Tanberry looks to the mystical stars above and reads your fortune for March!! Relationships, romantic or platonic, are being tested this month. You can sometimes have a short temper, especially with those you love. Try to be mindful of other people’s feelings. Having pride doesn’t have to mean hurting others. Remember that things rarely turn out the way you planned, but that doesn’t mean you aren’t on the right path. Letting go of illusions will open up new opportunities for you to become the best version of yourself. Your patience may be tested this month, as an important trip or project may have to be postponed. You have put a lot of work into this and you can’t wait to show others, but sometimes waiting is ultimately for the best. Your dreams have become quite vivid lately, both good and bad. If you can remember them, jot them down in a journal. This month, creativity is fizzing to the surface, and you're also more in touch with your subconscious mind than usual. Pay attention to those dreams, they might be trying to tell you something! Feeling extra adventurous this month? Thought so. Why don’t you get outside your comfort zone by taking up a new hobby or getting out into the wilds of nature? Grab a friend, go in a group or be a brave lone explorer, but go! This could be the start of something magical! Now is not the time to be alone. You may often think you know best when it comes to matters of importance but working as a team can bring about a strength you just can’t experience on your own. You're independent, smart and strong, but even so, it's OK to ask for help sometimes! Kickstart the month by focussing on your mind and bodily health! Meditation covers all bases and not only reduces mental stress but can physically improve your blood flow and respiratory system. Go forth and conquer the world, albeit upbeat and energised!!! Now is the time to focus on new horizons. If there is a project you’ve been putting off for ages, now is the time to do it. Have fun and play around but stay focussed on your end goal and don’t be afraid to accept help from those around you. You might be feeling a bit stagnant after a long, hard winter but with Spring just around the corner, it may be time for an age-old makeover/clear out. Giving your room a spruce, changing up the layout and decorating it will bring a breath of fresh air to your life and improve your mental wellbeing. You little socialite! Usually quite shy, the stars align to bring you out of your shell a bit this month. Friends are your focus!! Though you are not the life and soul of the party, you are the backbone of your friend group. Organise a get together with your besties, show them how to have fun!! You are feeling quite nostalgic for the past. Emotions and memories could enter your subconscious without asking. Try not to be taken aback but rather welcome them as parts of yourself gone by. They are your strengths, not your weaknesses. New opportunities arise this month. You are learning things about yourself you never thought possible. There is a chance to redefine yourself through the help of others. Learning to trust others plays a big part in this. Do Skye's predictions ring true for YOU this month? COMMENT BELOW to let us know!